I have been taking 5,000 units of vitamin D for about 2 weeks and yesterday I developed a metallic taste in my mouth when eating. Same today. I took a pill last night but do not plan to take anymore (I have not been diagnosed as Vitamin D deficient). How long will it be before that horrible taste goes away and my food starts tasting good again? So, I have two comments here. 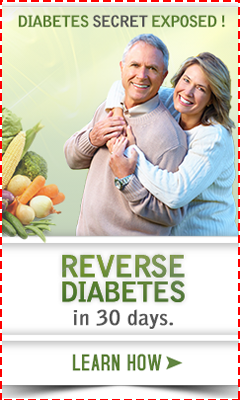 The first is to PLEASE read my page on Vitamin D Side Effects. I warn people CONSTANTLY to not just get any old vitamin D, but a vitamin d that is made 'dry'- meaning without oil. I'm 99% sure that the metallic taste in your mouth is due to rancid oil that your vitamin d is packed in and NOT due to the 'vitamin d' itself. So, PLEASE don't buy oil-based Vitamin D again and get rid of what you have- it's rancid. Next, you obviously suspect that you are vitamin d deficient, otherwise you would not have started taking vitamin d in the first place. 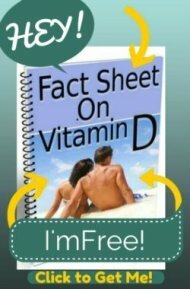 Saying that you are not going to take it again because you have not been diagnosed with Vitamin D Deficiency- yet you don't get tested to find out for sure is like having a big lump under your arm and saying that you are not going to get it taken a look at because no one has diagnosed it as being a problem!!! How could you know whether it's a problem or not unless you get it looked at in the first place? But in both cases, the person has a high suspicion that something is wrong- but ignoring that problems is not going to change the fact that there is still a problem. I found this ver interesting. I was tested for Vit D deficiency and my levels was 25. I started taking 50,00 IU twice a month and so far my levels have gone up to 41 but I started immediately with the metallic taste in my mouth after the very first pill. So I assume I am not in overdose with such low levels, then why the taste? I'm getting D3 from the pharmacy, I'm told no oil was involved. I was tested and found my level was 31.Doctor put me on drops of D with K,very high quality.5000 per day.I get headaches,nausea,fatigue and stomach pain and metal taste.I am going to stop taking it and will up my magnesium.I am sorry to say even vitamins and minerals can cause toxic effects.This doctor who is integrative,never mentioned that high dose D can cause Magnesium Depletion. Stopped taking it, much better now. I had the same thing as far as the bad taste in my mouth and have been using a very high grade 2000mg. In addition I have been having issues getting up 2 or 3 times a night to urinate. Have been seeing a urologist and then a nephrologist thinking I had CKD. Turns out, I stopped taking the vitamin D and the bad taste went away and so did the nocturia. Hi after taking vit d 20000 iu doc prescibed my mouth was feeling dry and the skin around the inside of mouth and lips for 2 days. Now I have stopped my doc said on the phone to alternate but this dry mouth is still there. Should I continue? Please read the thread, then see my page on Vitamin D Therapy and find out what you need to do instead of stopping. You obviously are low in vitamin D, so unless you want to Increase your risk of Cancer from Vitamin D Deficiency or Increase your risk of MS from Vitamin D deficiency, then I suggest you find a better form of Vitamin D than the one that you have, get on the vitamin d cofactors, and make sure that you get your level up to optimal.